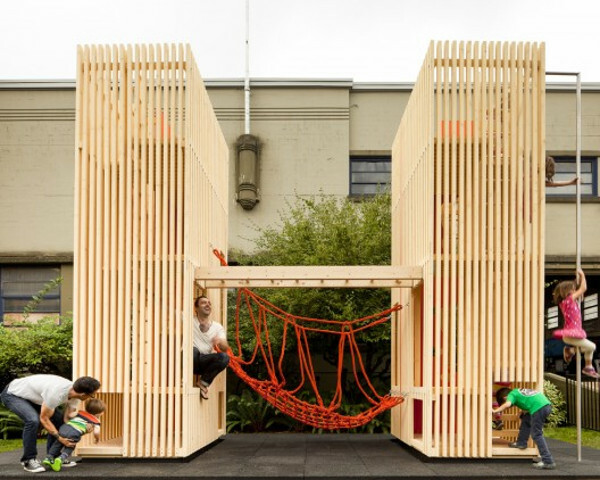 Each year a creative challenge based in Vancouver calls on wood suppliers to team up with architects to create incredible children’s playhouses. The results are always incredible, and the playhouses also play a part in donations to community charities – it’s a brilliant concept. Canfor’s Playhouse Challenge has resulted in some incredible creations over the years. The playhouses are all sold to pre-registered corporate buyers, for donations to charities, including children’s hospitals. 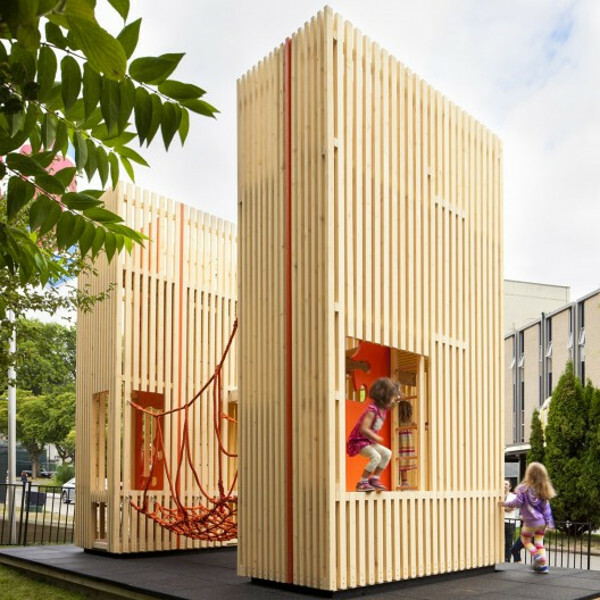 The Sam + Pam playhouse has caught our eye. 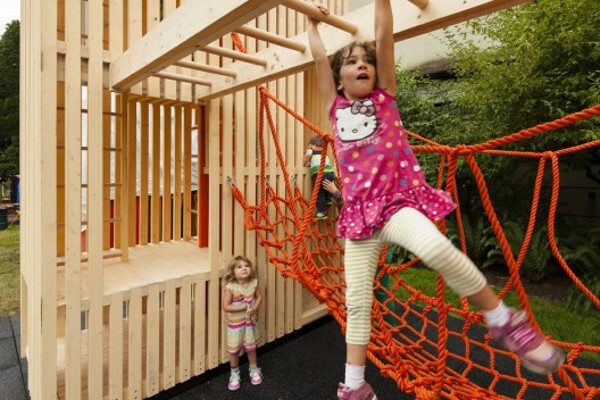 Constructed from spruce-pine fir, the compact design doesn’t hinder the endless play opportunities presented by this clever construction. 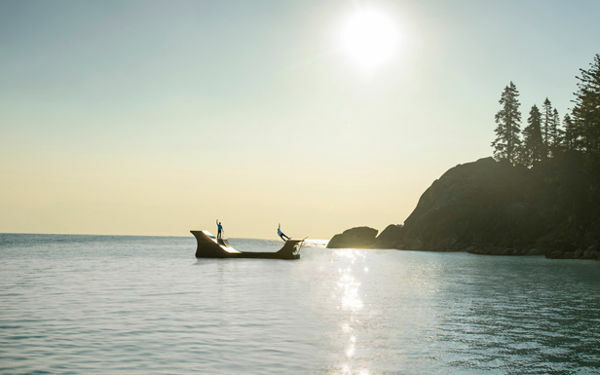 It has a rope bridge connecting the zones which include plenty of room to climb and hide. The Sam + Pam was created by the Office of McFarlane Biggar. 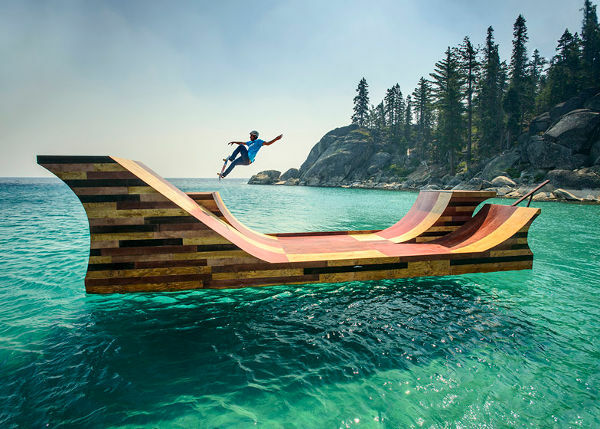 Another amazing creation was this floating skateboard ramp. Can you believe this is actually real? It was created by the design and build team of Jerry Blohm and Jeff King for Californian skater Bob Burnquist. The Playhouse Challenge is usually held in the second half of each year, so we can’t wait to see what incredible designs hatch for 2015.